NT01s 255/40/17 with 2 wet weekends (MSRH & MSRC), 1 dry weekend (MSRH) and a final dry weekend at COTA. COTA was a 3 day weekend with the PCA. Sunday morning after my first session I noticed these weird "ripples or bumps" on the outside of the front tires. Being the last day, I decided to send it. 2nd session of the day was my fastest all weekend and upon inspection after that session the tires seemed the same as the 1st session. After 40 minutes of the 3rd session, which was a whopping 1.5 hours of track time available, I came in to check the tires as they became very greasy. That's when I found them in this state, cording in the valleys of those ripples. Asking a few others around the paddock, the general consensus was that the valleys are where the two tread blocks meet. However, this is my third set of NT01s and I have never corded them in this fashion. Alignment wise up front is -3.5 camber with 0 toe. Anyone ever seen this type of wear before? When you get them really thin and hot, that whole ring starts to delaminate. What i think causes the valleys is ABS pulsing the brakes and as those pieces grab the track they get scraped away. Heres a set of mine that did similar, I just didn’t stop as soon as you did. 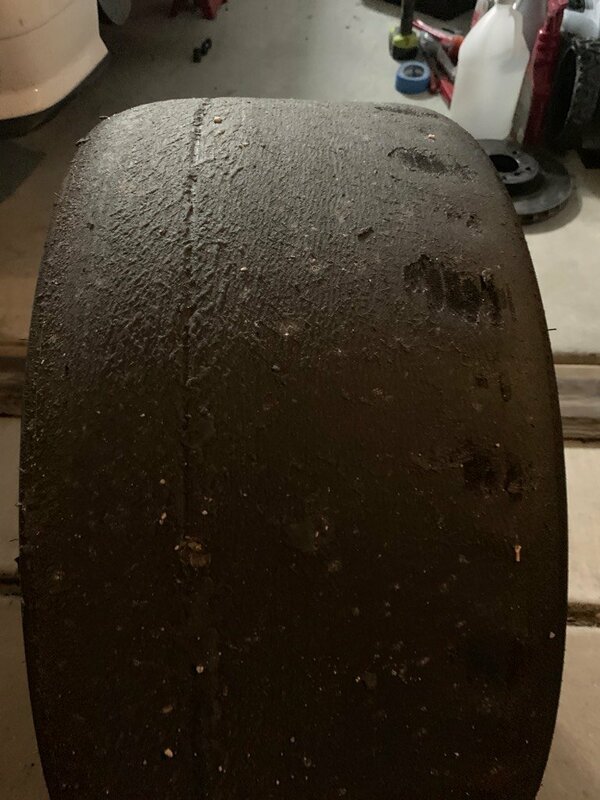 my guess is a harmonic in the tread of the tire during cornering speeds that's causing the tire to be out of round... (ever seen a top fuel drag tire look like a pentagram? BobKid's ABS comments also make perfect sense from similar standpoint.. 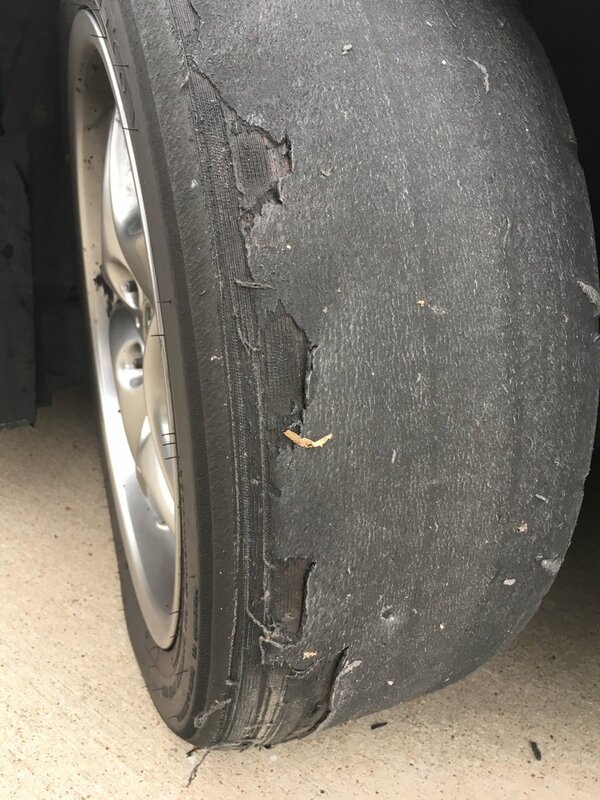 Simply put, the tire was done worn out. you might use a touch less camber or rotate tires front/rear a little more often, but otherwise you've gotten 90% of the life out of the tire before you corded it, so don't worry much and move on with another set. I rotated them at the end of each day. I do this to get the most out of them. I know it's a lot of trouble to get a little more use out of them, especially if you are paying for remounts. Were they full tread when started or shaved? I thought NT01 had a bit more life in them than that. I mean they had over 3 full track weekends on them and a hard weekend at COTA. Are they? I just flipped my tires on the wheel...but I had heard they are directional. They are side dependent but not directional. In other words they have an outside and inside.